This is a typically elegant bow by HC Lamy (Fils), very close in style to the work of his father Joseph Alfred Lamy, and in excellent condition. The Lamys, father and son, are for practical purposes the same maker. They worked closely together and used the same model, a rather more robust variant of Voirin. They always chose to remain independent, rather than work for the big firms like Gand & Bernardel or Caressa & Français. In the work of the son we see a gradual move towards power and robustness in the sticks, a bit more length on the frog and a slightly longer head. This bow has an octagonal section stick of dark cherry-red pernambuco – mounts are silver and ebony. The condition is excellent – there’s no damage to the stick, and the finish is very well preserved. However, the ebony of the adjuster has a small split, and there’s a tiny bit of fraying to the top edge of the frog on the player’s side. Characteristically this bow balances slightly towards the head, giving it a heft which you wouldn’t expect for the weight. The stick is very responsive, medium hard, and with a nervy but controllable spring. The sound is beautiful, with a particular crystalline brightness or shimmer which draws in the listener, very typical of this maker. 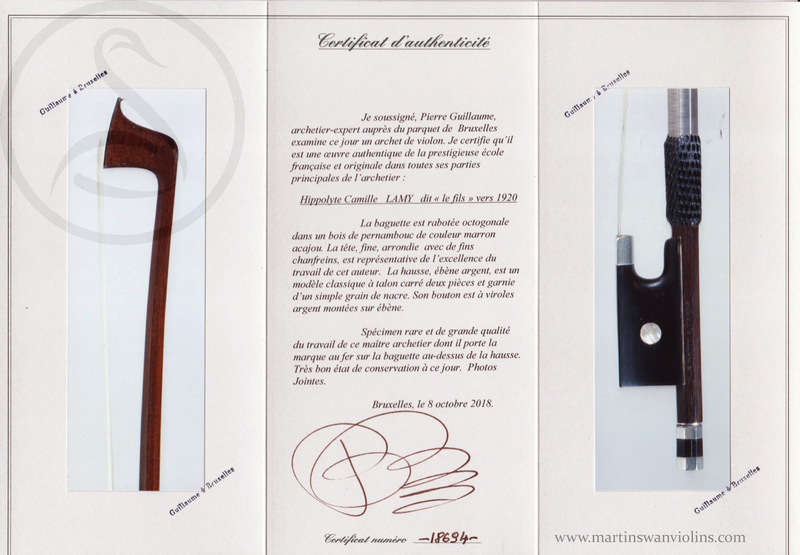 Interested in this Hippolyte Camille Lamy Violin Bow? 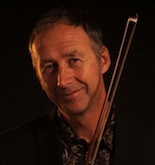 Look at other fine violin bows like this.